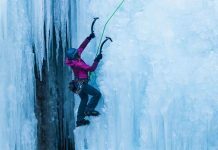 There is a considerable amount of technique that goes into climbing, irrespective of whether it�s being done recreationally, competitively, or as a part of a trade. The ability to place oneself on the rocks with proper judgement and pulling oneself through will not do one much good if the footwork is lacking. 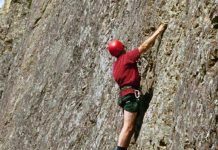 The shoes you wear while climbing make a lot of difference to the kind and precision of footwork. It is important to select the right shoes keeping in mind the functionality as well as the comfort level. So always pick the best shoes possible as they help for the best footwork possible. Also check your shoes for any abnormalities or wear and tear before packing them. While climbing it is important that you take small steps. A lot of amateur climbers take huge steps in hope to cover larger space. 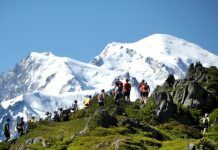 But it is not the smart way to go as bigger steps require more amount of strength and also have more possibility of insecurity in the climb. So practice short step footwork and opt for bigger steps only when suitably accessed. Adjusting your foot too much or too often is also a sign of bad footwork. The next tip to better, improved footwork is to hold the position once you have placed your foot. There is no need to constantly adjust and readjust your foot; rather there is a need to focus on the stead where you have placed your foot. Too much of readjustment can cause a slip. 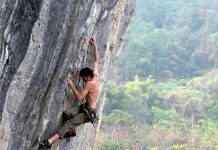 Watching one�s foot while shifting from one hold to another is an important tip that will take any climber a long way. A way to adjudge if one is looking at their feet and focusing on them when shifting is to hear for a sound. If the foot makes a sound against the mountain it means the climber is not watching the foot which is clashing with the rock. Another way to improve one�s footwork is to get enough practice. Skill can be gained by practising some common drills that are commonly practised by majority of the climbers for example traversing moves in a gym, coordination exercises etc. are all meant to improve footwork skills. 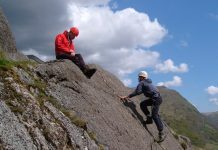 Flagging is one of the most commonly used and efficient way to improve footwork when the climber has only one foothold at the time. The best way to achieve perfect flag is by raising the other leg to counterbalance and centre the weight onto the foothold that has been established. 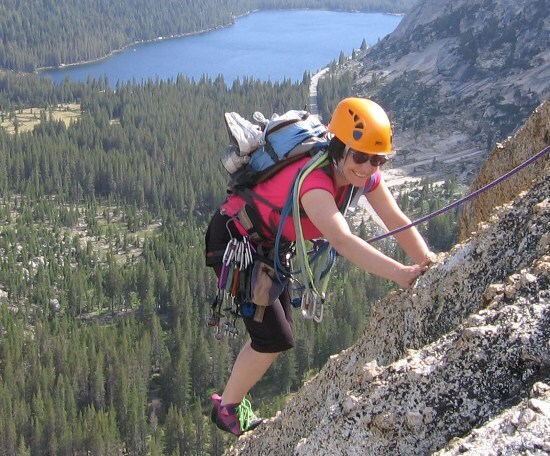 Proper breathing while climbing can make for good footwork or an extremely bad one. 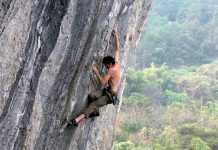 A tip for those looking to improve their footwork is to focus on their breathing while climbing. Take proper breathing breaks in middle of shifting footholds to allow the body to sync and relax.